The 2018 Wisden-MCC Cricket Photograph of the year competition is now open. All photographs entered must have been taken in the 2018 calendar year and should demonstrate the skill and artistry of the photographer. Images can be from anywhere in the world, and there is no restriction on subject matter as long as it has a cricket theme. Action shots, landscapes, portraits, images of dramatic or aesthetic appeal – all are equally welcome. PRIZE DETAILS: A shortlist of eleven entries will initially be chosen, from which a winner and two runners-up will be announced. First prize will be awarded £2000, two runners-up will each receive £1000, and the eight other shortlisted entries will get £250 each. In addition to the cash prizes, the top three photographs will feature in the 2019 Wisden Cricketers’ Almanack, and all of the shortlisted entries will be exhibited at Lord’s throughout next year. The top three will also receive their own copy of the Wisden Almanack. Not eligible to enter? - Find contest where you are. In addition, you grant MCC a non-exclusive licence to exhibit the eleven (11) images referred to at Clause 6 of these Terms and Conditions at Lord's Cricket Ground. 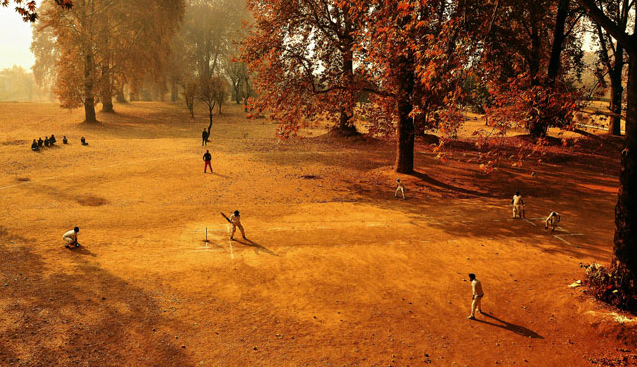 By entering the Competition you agree that media publications and individual journalists shall be allowed to publish the winning image in any publication or on their social media platform without any payment to you, subject to it being in connection with the Competition and clearly captioned as the Wisden/MCC Cricket Photograph of the Year 2018 and credited to the winning photographer. Entrants must be the sole author and owner of the copyright for all images entered and will retain full copyright in their images at all times and any use of a submitted image beyond the uses set out in point 11 above must be by separate agreement with the copyright owner.